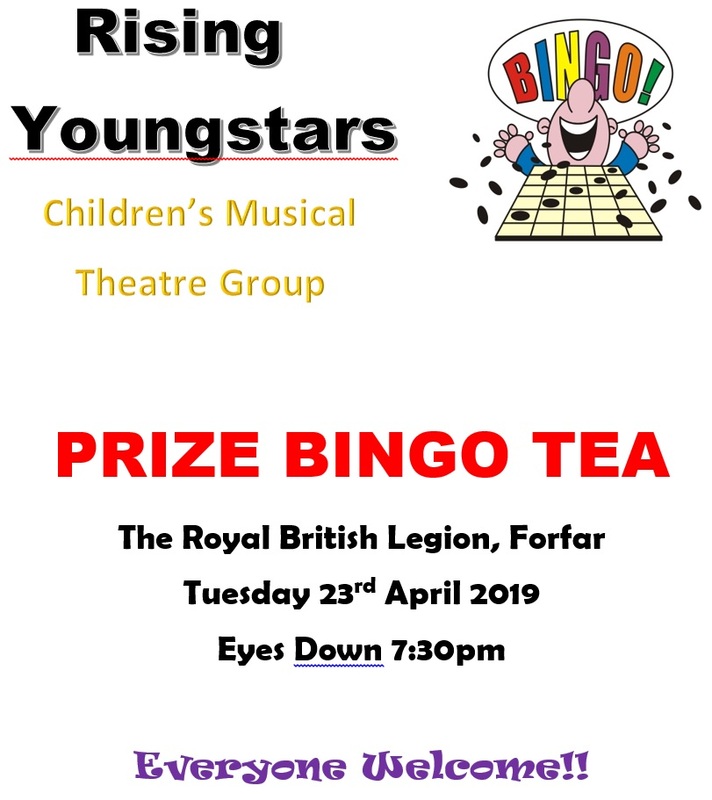 We had a great bingo tea night at the Royal British Legion in Forfar back in 2017 and we’re very pleased to announce that we have organised another one for Tuesday 23rd April 2019. It will be at the Legion again so please come along for a fun night with plenty of prizes to be had. And remember, it’s all to support our fabulous Rising Youngstars children. Hope to see lots of people there so spread the word and bring a friend or four!! !